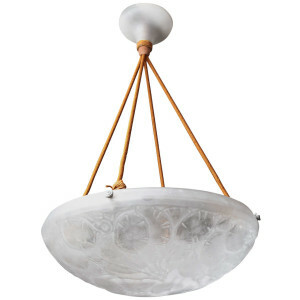 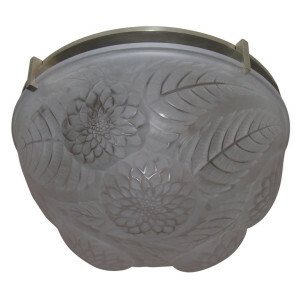 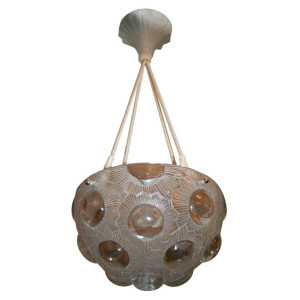 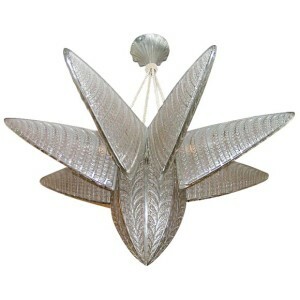 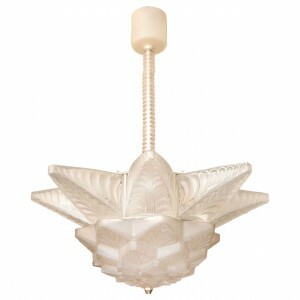 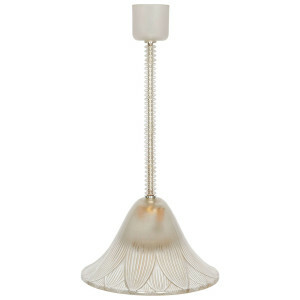 Lalique chandelier, clear and frosted glass molded with stylized leaves pattern, with 6 lateral arms, hanging from six electrified silkcords with original glass canopy. 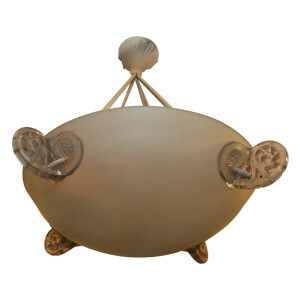 Pair and matching wall sconces are available. 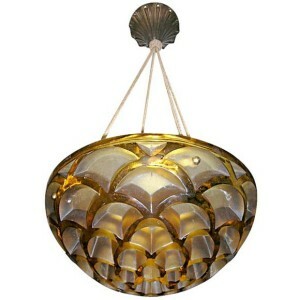 Lalique chandelier, in amber glass molded in a honey-comb pattern, hanging on four silken electrified cords, with original glass canopy. 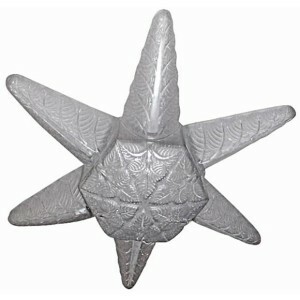 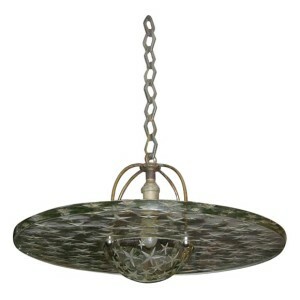 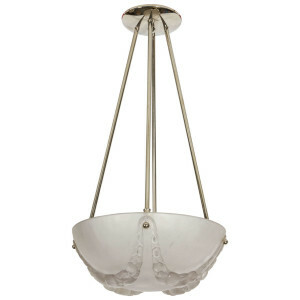 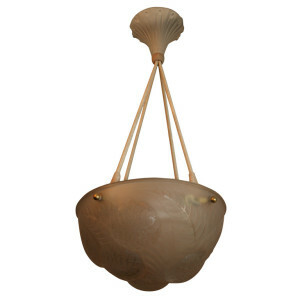 Additional chandeliers for this design are available.